The administrators at Twin Oaks Senior Living pride themselves on providing superior care for older adults at the family-run company’s three campuses in Missouri. That level of care earned Twin Oaks two awards this month. 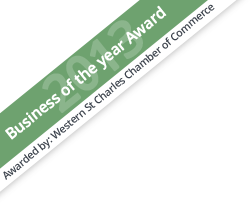 Each year, the Western St. Charles County Chamber of Commerce hosts a ceremony for the Best of Western St. Charles County. This year, the Chamber teamed with local media outlet Community News to have the public at large select the area’s Best Of through an online poll. 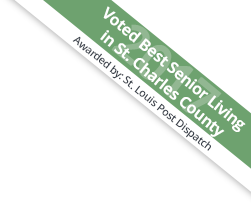 Twin Oaks Senior Living was named Best Of in Senior Care for its campuses in O’Fallon and Wentzville. Twin Oaks at Heritage Pointe in Wentzville was also selected as a 2016 Best of Assisted Living award winner from SeniorAdvisor.com, the largest ratings and reviews site for senior care and services in North America. Winners of the SeniorAdvisor.com Best of 2016 Awards represent the top tier of in-home care, assisted living, and other senior living providers, based on the online reviews written by seniors and their family members. This exclusive designation places the winners in the top one percent of senior care providers according to those who matter most – the consumers. To qualify for inclusion in the Best of 2016 Awards, providers must have maintained an average overall rating of at least 4.5 stars while receiving three or more new reviews in 2015. Of the nearly 100,000 providers currently listed on SeniorAdvisor.com in the United States and Canada, only 879 were recognized with this award. Twin Oaks at Heritage Pointe is one of 36 winners in Missouri. The Heritage Pointe campus regularly receives highly positive reviews at SeniorAdvisor.com. Twin Oaks Senior Living provides three continuing care retirement communities in O’Fallon and Wentzville, MO. Twin Oaks offers independent living in its Garden Villas and apartments, assisted living and memory care residences, and affordable independent living options. Stop by Twin Oaks Estates, Twin Oaks at Heritage Pointe, or Twin Oaks at Stone Ridge to take a tour of your new home. Call 636-542-5400 and find Twin Oaks Senior Living on Facebook.